Thank you for visiting the website of Dr. Kapoor. Our site provides important information about our practice that will help you become familiar with children's dentistry. Take a look at our office tour page and get familiar with our practice! Welcome to General Dentistry 4 Kids, Virginia Beach’s leading provider in pediatric dental care! Dr. Elleni Kapoor, general practitioner and mother of three, welcomes all children to her practice, eager to treat each as her own. Dr. Kapoor’s exclusive focus on kids allows for her unique and specialized mission of creating a child-friendly environment that fosters a relaxed, fun, and loving dental experience for children, beginning at a very young age. Caring and compassionate, Dr. Kapoor works with an energetic, enthusiastic, and experienced staff whose exceptional care ensures kids will look forward to returning to our office again and again. We are grateful for the opportunity to work with your children at our premier hilltop children’s dental location! Our office is located at 1544 Laskin Rd. #226, Virginia Beach, VA.
General Dentistry 4 Kids is a premier hilltop location that provides preventative and comprehensive care for kids of all ages. We are an energetic, enthusiastic and experienced staff that are exceptional with children. Call us at General Dentistry 4 Kids Phone Number 757-965-3333 to schedule an appointment. Dr. Elleni Kapoor successfully completed her undergraduate and D.D.S. degrees at The Ohio State University in her hometown Columbus, OH and has remained a proud Buckeye fan ever since. Elleni Kapoor is a general dentist limiting her practice to children’s dentistry. Our mission at General Dentistry 4 Kids is to create a passion for kids of all ages to have great oral hygiene and fun visits to the dentist. As we partner with you and your child to form an oral health team, our goal is to assist in establishing healthy patterns that can last a lifetime, and foster anxiety-free love for caring for the teeth. Why A Dentist for Kids? Has your child ever begged you not to leave the dentist? Impossible you say? Not in our office! Our gentle touch and special way with kids will quickly foster the long-term relationship with the dentist you have been looking for. Our dentist and staff love children and are specially trained to put them at ease. At General Dentistry 4 Kids, we teach your children the proper way to take care of their teeth and just as importantly, they learn that going to the dentist can be fun! We will treat your kids as if they are our family! "What an awesome office! The staff was so warm and welcoming from the moment we walked in the door. I have an 11 year old and a 1 year old and Dr. Elleni and her staff were able to keep both happy for their entire visit. You can tell that this staff is experienced by not only how great they are with kids but also how knowledgeable they were with all my dental questions. I would definitely recommend this office to anyone with kids!" "This is by far the best peds dentist we have every been to! Very bright and clean and welcoming. My kids had a traumatic experience in the past with there last dentist and this family makes them forget everything. Highly Recommended!" "This has been by far the best dental experience for my son. He's on the spectrum and gets very anxious and worried about dentists and doctors and needles, but the ladies at GD4Kids made him feel comfortable and safe. They answered all of his questions and explained what they were going to do, and even sang to him as she did her work. The office is super clean and comfortable, and the prize wall is a huge plus and incentive for the kids!" 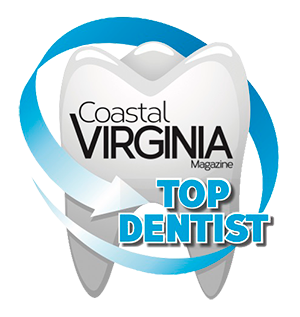 Virginia Beach Children's Dentist, Dr. Elleni Kapoor, is dedicated to providing you with a pleasant visit and results that you're proud to show off. Call General Dentistry 4 Kids Phone Number 757-965-3333 with any questions or to make an appointment.